Only one was made and it’s still owned by General Motors, housed in the General Motors Heritage Museum in Michigan. 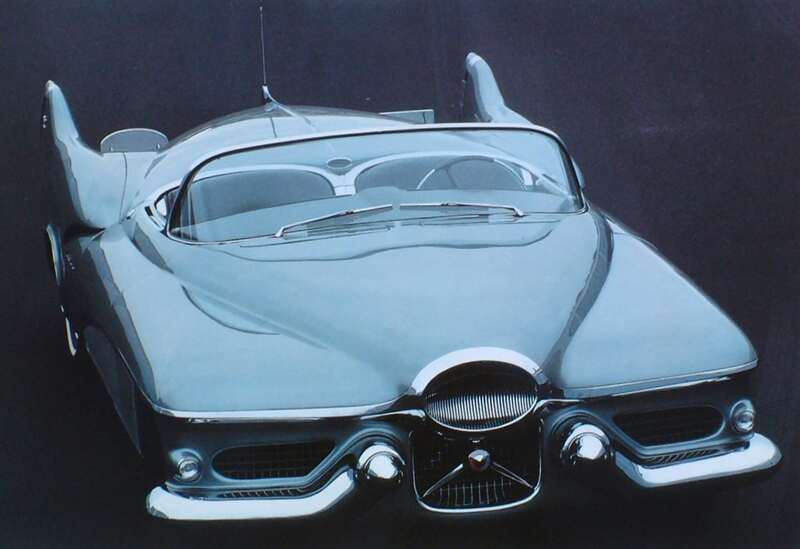 Designed by the renowned Harley Earl, the 1951 LeSabre was the most influential concept vehicle of the 1950s. Like most of Earl’s concepts, the LeSabre was (and is) a road-worthy, fully operational car. Exterior design elements are very obviously jet-inspired with over-the-top aerodynamic cues from the first- and second-generation jets of the day. From the intake on the nose to the rear jet exhaust design on the deck lid (with working taillights within to give the “red glow” of a jet engine), the LeSabre is a car that looks ready to take flight. 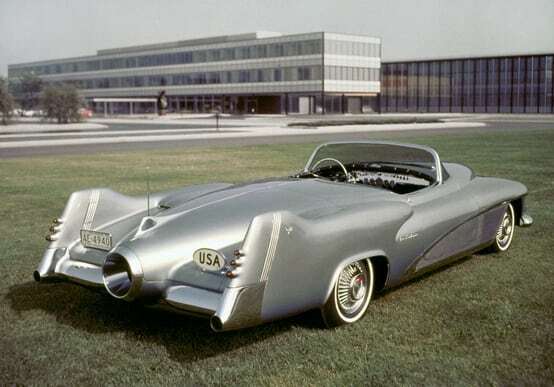 By the time this car was envisioned, tail fins were a common theme on new designs of the day. The 1951 LeSabre, of course, incorporated these in a big way. 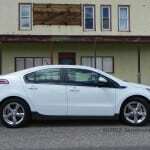 Many of the exterior elements, however, were new ideas that eventually became the norm; especially on GM vehicles down the road. 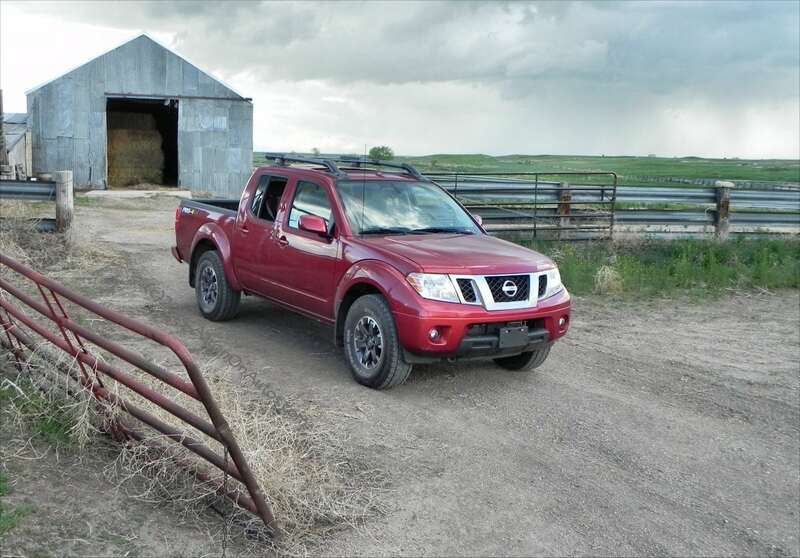 The aluminum, magnesium and fiberglass body elements were to later become standard on many vehicles, though not for another two decades. The wrap-around windscreen became a common element of GM designs from that year on, of course, with cars like the ever-classic 1957 Chevrolet Bel Air and others using them to great effect. The front bumper “dagmars” hiding the headlights on the LeSabre were incorporated into the 1957-59 Cadillacs. The LeSabre even had an innovative water sensor that would automatically activate and close the top when the car became wet. 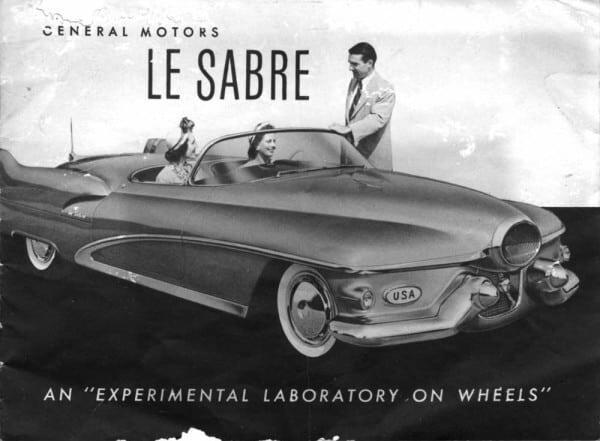 Underneath all that bodywork, the 1951 LeSabre was highly innovative for its time. 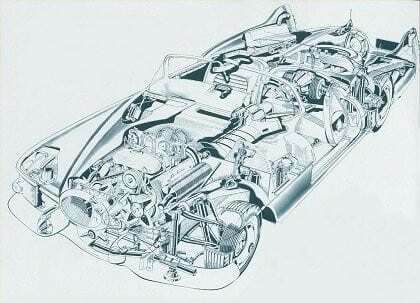 The 215 cubic inch (3.5-liter, 335 bhp) V8 ran on both gasoline and methanol and was an engine taken from the cutting edge of GM’s Indy racing stable at the time. 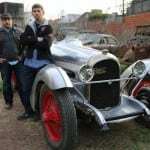 The engine was also an aluminum block and was the first use of an aluminum V8 215. This would appear in several production vehicles in the GM lineup, including the Buick Skylark, Oldsmobile Cutlass F-85, and a few British vehicles like the Land Rover and Triumph. The LeSabre concept was also unusual in that while the engine was up front, the transmission was in the rear. The rear-mounted Buick Dynaflow automated transmission was later swapped for a GM Hydramatic, which also showed up in the production Pontiac Tempest soon after. 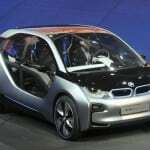 This meant a smaller “tunnel” down the center of the car, since the transmission didn’t have to be accommodated within passenger compartment space, instead taking up room in the trunk. The 1951 LeSabre was also a 12-volt design in its electrical system at a time when 6v was the most common. 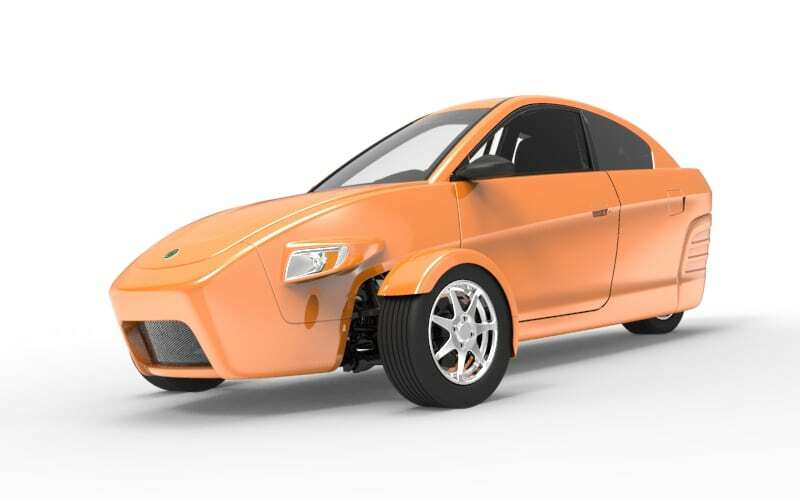 This allowed Earl to include heated seats, more powerful electric headlamps, and electric lifting jacks to aid tire changes – an idea adopted by Formula One teams decades later. Finally, even the concept’s name, LeSabre, would be adopted eight years later in the long-running Buick LeSabre line of production sedans. 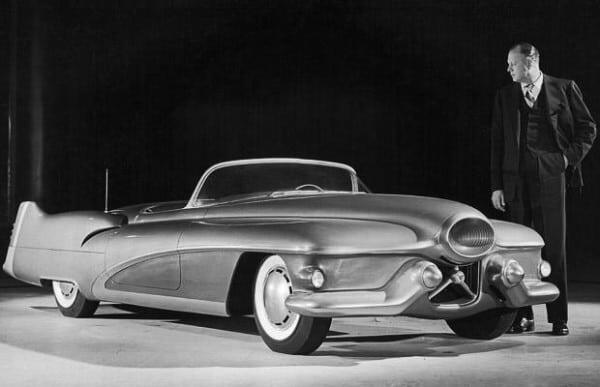 This has often led to the concept itself being wrongly-marked the “1951 Buick LeSabre Concept”. Officially and in all GM accounts, including introductions and presentations by Harley Earl, the car is a 1951 LeSabre from GM without the Buick name.